This Telescopic Trekking pole offers the convenience size after folded, then easy to storage for backpack and luggage. And it also made of lightweight and high quality 6061 aluminum alloy which is very durable,not easy to bend and can provide an outstanding level of tensile strength to the pole. The T-shaped rubber handle grip provides a comfortable fit in the hand, makes it possible to get a secure lower grip when needed. Why we need a trekking pole? 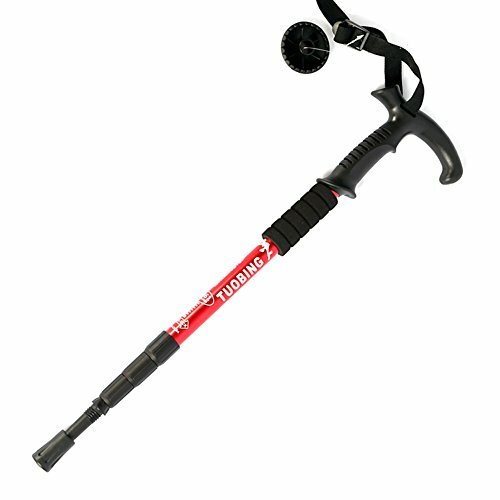 Trekking pole improves your balance, security, stability and endurance, keeps you in perfect physical condition, gives you confidence to reach your yearning destination. If you have any questions about this product by Deway, contact us by completing and submitting the form below. If you are looking for a specif part number, please include it with your message.